We all know a very good boy (or girl) who deserves a special treat with their human frens this Easter. Which is why you’ll be pleased to know you can now buy your four-legged pal an animal-friendly Easter egg. Of course, chocolate is poisonous to dogs, so this Easter egg is a ‘specially-made chocolate substitute’. You can buy the special doggo eggs from B&M Stores for just £1.99. Good Boy Easter Egg for Dogs. Keep your furry friend happy with their very own Easter egg! Made from a specially made chocolate substitute, this Easter egg is completely safe for dogs to consume – just don’t let them eat it all at once! A delicious pet treat for all kinds of dog breeds. The product is however, not suitable for puppies under four months old. And if you want to give your pooches an extra special treat you can throw in some doggy beer to accompany the egg. 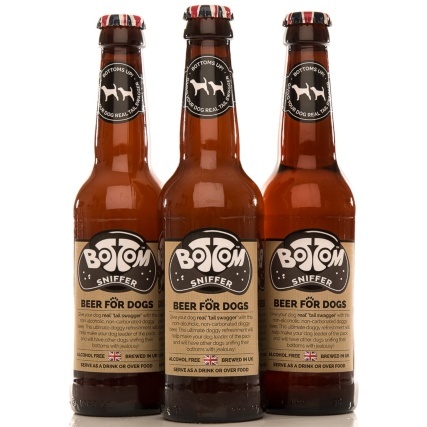 Bottom Sniffer dog beer is a non-alcoholic drink your pets can enjoy with or without food. 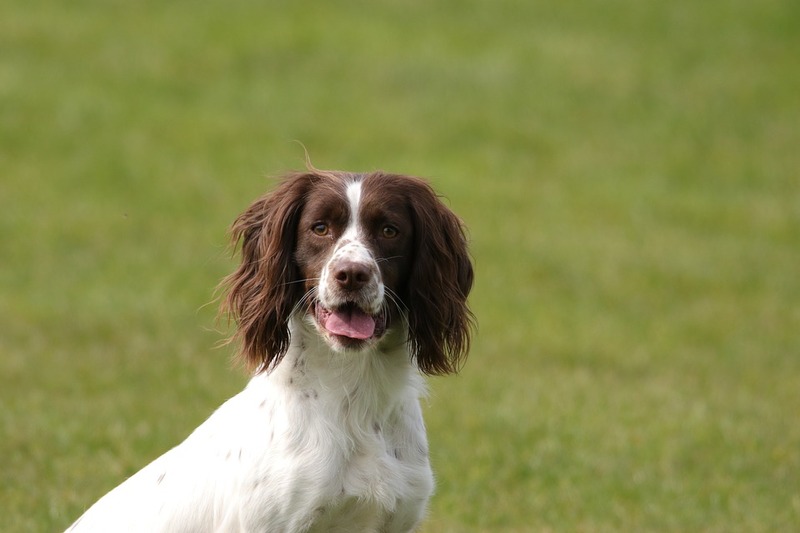 The non-carbonated drink is something different to your dog’s normal water, giving them some extra flavour while keeping them hydrated and costs £1.99. 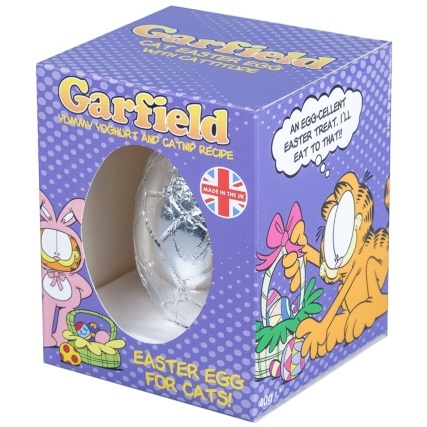 If you’re more of a cat person and want to treat the kitties, fear not, you can absolutely do, because B&M are also stocking ‘Garfield Easter Eggs for Cats’. 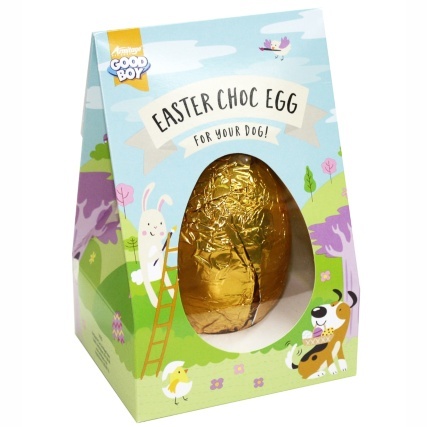 Keep your furry friend happy this Easter with their very own choc-free egg! Made from a yummy yoghurt and cap nip recipe! An ideal cat treat for hungry felines. The £1.99 egg is gluten, cocoa and wheat free as well, but not suitable for cats under the age of three months. No pets? Want to treat yourself? There are plenty of cool Easter eggs out there for every taste… including a Harry Potter sorting hat egg. Slattery’s Patissier & Chocolatier in Manchester is selling ‘The Sorting Egg’, a milk chocolate egg filled with milk chocolate callets. The egg comes complete with a scroll inside, which will tell the proud owner if they’re in Gryffindor, Hufflepuff, Ravenclaw or Slytherin. The Sorting Egg is priced at £14.95 for the handmade creation and orders can be made on Slattery’s website. 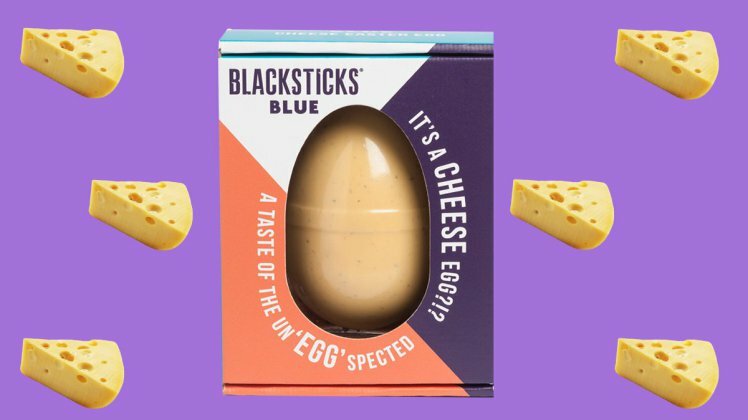 If you’re not a chocolate fan, somebody has designed an Easter egg made entirely out of cheese. And it’s Asda – who were behind the cheese advent calendar – who have launched what they call the Cheester Egg. Nice.